Dr. Adam Drewnowski is a world-renowned leader in the study of obesity and social disparities in diets and health. He is Professor of Epidemiology and the Director of the Center for Public Health Nutrition at the School of Public Health. He is also the Director of the University of Washington Center for Obesity Research, which addresses the environmental, social and economic aspects of the obesity epidemic. Dr. Drewnowski is a Joint Member of the Fred Hutchinson Cancer Research Center in Seattle. 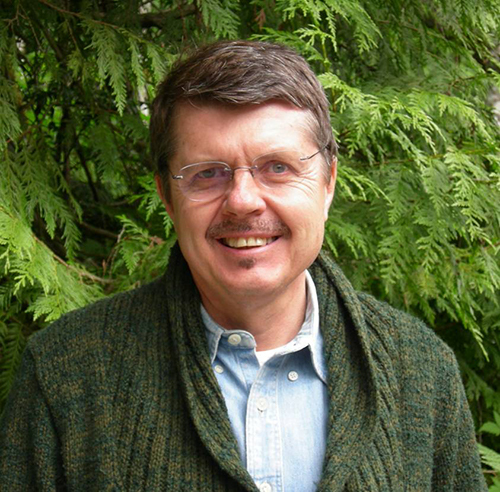 Dr. Drewnowski obtained his MA degree in biochemistry at Balliol College, Oxford, and a Ph.D. degree in psychology at The Rockefeller University in New York. Following post-doctoral training at the University of Toronto, he returned to The Rockefeller University as Assistant Professor. He later moved to the University of Michigan, where he became Professor of Public Health, Psychology and Psychiatry and Director of the Program in Human Nutrition at the School of Public Health. He moved to Seattle in 1998. Dr. Drewnowski is the inventor of the Nutrient Rich Foods Index, which rates individual foods based on their overall nutritional value, and the Affordable Nutrition Index, which helps consumers identify affordable healthy foods. He has conducted extensive studies on taste function and food preferences, exploring the role of fat, sugar, and salt on food preferences and food cravings. His studies on bitter taste genetics have explored consumer acceptance of bitter phytochemicals in vegetables and fruit. Dr. Drewnowski has been the leader in studies of spatial epidemiology of diets and health, using innovative GIS approaches to study the geographic distribution of food spending, diet quality and obesity rates. Dr. Drewnowski has served on the Standing Committee to Prevent Childhood Obesity of the Institute of Medicine, National Academy of Sciences and is a public trustee of the International Life Sciences Institute (ILSI), He is the author of over 200 research papers, numerous reviews and book chapters, and a frequent participant and invited speaker at scientific meetings, conferences, and symposia. Dr. Drewnowski has advised government and international agencies, foundations, and think tanks. The NIH funded Seattle Obesity Study (SOS), led by Dr. Drewnowski, examines social determinants of health, focusing on the mechanisms behind the observed disparities in body weight. The SOS explores access to healthy foods, making use of GIS techniques and new methods on spatial epidemiology to determine who shops for food where, why, how far from home and for how much. New methods to estimate the monetary costs of individual diets, used in the SOS, have led to new research on diet quality in relation to diet cost. Dr. Drewnowski's interests are in characterization of dietary patterns, nutrition economics, spatial distribution of obesity rates, and the development of new metrics to identify foods that are nutrient dense, affordable and sustainable. Dr. Drewnowski teaches NUTR 303 Neighborhood Nutrition (3 credits); NUTR 411 Advanced Nutrition (3 credits) and three sections of the 490/500 Special Topics Nutrition Seminar.